We're joined by neuroscientist Dr Felicity Inkpen as we delve into Michel Gondry's 2004 film Eternal Sunshine of the Spotless Mind. Can we remove memories? Should we? Would we? Andrew, Maddy and Steve gathered with Dr Felicity Inkpen in the shed and this fun and fascinating chat ensued. Happily, it's now a podcast so you can listen to it and no unethical company can remove it from your mind. 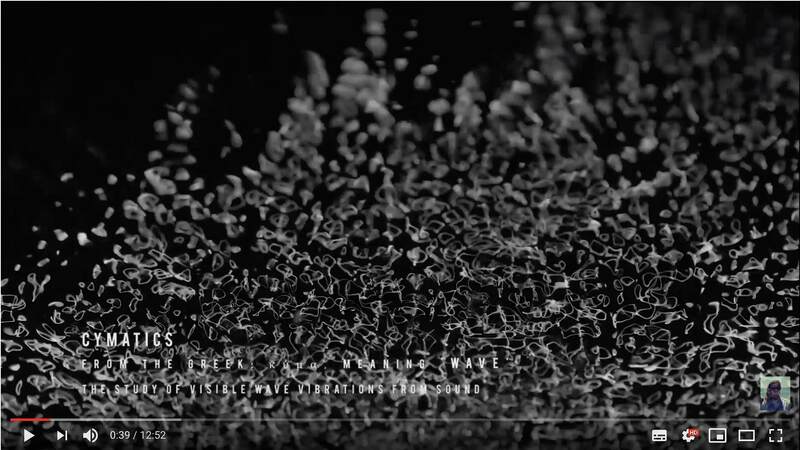 Dr Felicity Inkpen is a Physicist turned neuroscientist and an artist. 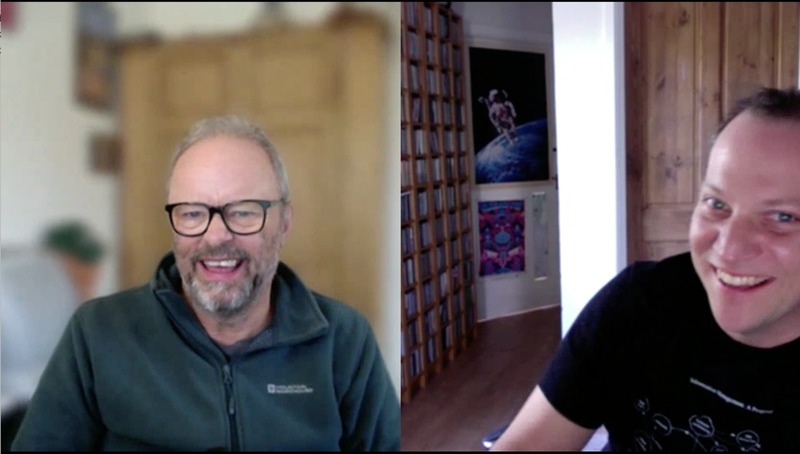 Robert Llewellyn (Red Dwarf, Fully Charged, Science Fiction author, Scrapheap Challenge, Carpool) joins Andrew ahead of the Fully Charged Live event at Silverstone (June 7-9, 2019). Andrew and Robert have a wide ranging chat all the way from Red Dwarf, through to the wonderful News From Trilogy and, of course, electric cars. Download, press play or head over to wherever you subscribe to us from to listen now. There were so many ways this episode could have gone. 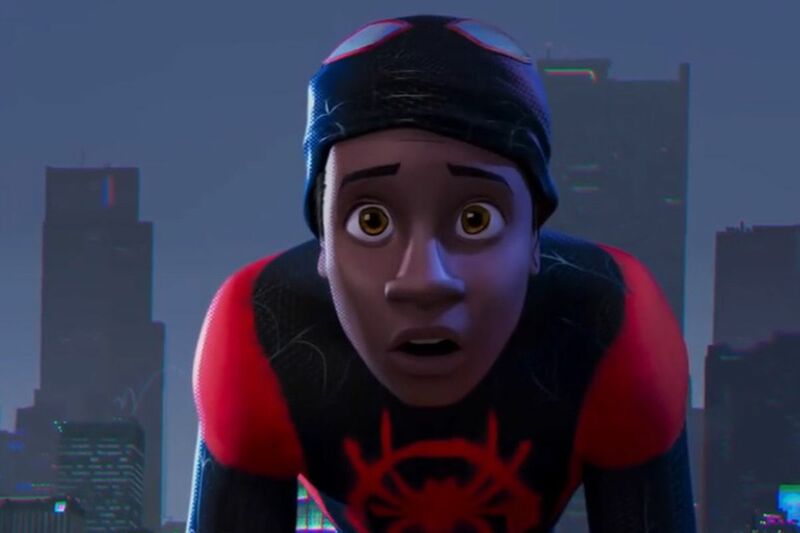 We explore the wonderful Spider-man into the Spider-verse and the science of multi-verses. Ti and Andrew are joined by Professor Jo Dunkley, professor of Physics and Astrophysics at Princeton University and try not to get too tangled up in her research into the Cosmic Microwave Background or caught in the discussion about Dark Matter before we end up wondering if we really can spark a whole new universe just by typing this word instead of this one. Professor Jo Dunkley authored Our Universe. Ben also pops in for a poem. In other words, it's a brand new episode of The Cosmic Shed and it's about Spider-Man. Don't worry. There's plenty of science fiction chat but we explore the relationship between science and religion with three former religious people who are now working in science communication. We're joined by Jordan Collver, Tay Aziz and Malcolm Love as we explore some of the themes brought up by Jordan's wonderful comic "My Evolution: Loving along the spectrum of science & religion". Are science and religion at loggerheads? Are they comfortable bedfellows? What happened to these people to lead them to lose their faith? How have their worldviews changed? Is this the only time we've posted a list of questions and done more than three? What even is an ascending tricolon? Some of these questions are answered in this episode. What happens when reality comes crashing down at your feet? If humanity creates something can we really expect it to be better than we are? 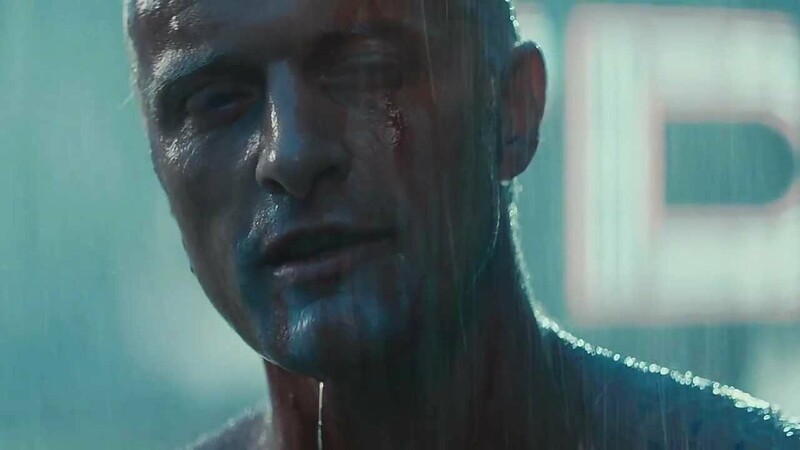 Have you seen things we people wouldn't believe? Science fiction explores the human experience and religion is both a part of that and a tool humanity uses to explore itself. Depending on your worldview, we probably should not talk about this or it's about time that we did. We explore the spectrum. We're inundated with wonderful guests for this megalong episode of The Cosmic Shed all about sharks and The Meg. Jump in, it's perfectly safe. The Meg is a fun movie and this episode of the Shed reflects that. We hear from Steve Alten, the man who wrote the books that the film The Meg is based on. We hear from Kayleigh Burns who recently got up close and personal with the biggest Great White Shark we know of. Her encounter, with her colleagues at One Ocean Diving hit the news recently and we are delighted to be able to bring you this interview with Kayleigh after her life changing experience. We talk to Kayleigh Burns (the person in this photo of Big Blue) Credit @camgrantphotography. Andrew, Maddy and Ti are joined in the shed by Ric Barnes of Spin Up Science. Ric spent some time doing shark research with Lemon Sharks and tells us a wonderful fact about sharks he heard about in that research. Annie Moir is a huge fan of Steve Alten's Meg books, appears as a character in his Shark Man book and is, (almost certainly) more importantly, the film maker behind this deeply wonderful film featuring humpback whales. Find yourself the best headphones or sound system you can and press play. If that weren't enough, we also hear from Professor Adrian Melott, Emeritus Professor of Physics and Astronomy at the University of Kansas. Adrian joined Andrew to talk about his recent paper on the discovery that there is a good possibility that the Megalodons were wiped out by Supernova explosions far out in space. Did Supernovas kill the giant prehistoric sharks? Even if you never see The Meg, don't worry, this episode of The Cosmic Shed does not require you to have seen the film and will not spoil it if you do eventually see it. It's an episode packed full of fun and interesting interviews and we had a huge amount of fun making it. We hope you'll have just as much listening. Kayleigh mentions the Instagram of Jim Abernathy for the petition. Star Trek Discovery returns and we're back with much excitement to discuss this wonderful new episode and the promise of plenty more Trek to come with Picard and animated series on the cards. 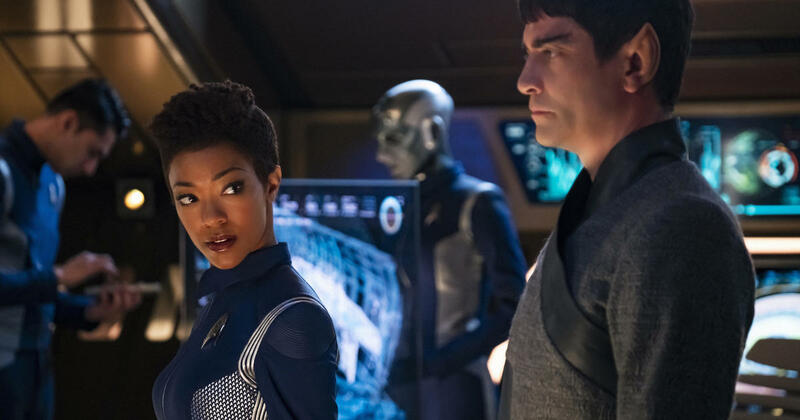 We talk all things Trek and look at the Short Treks as well as Brother, the first episode of Season 2 of Star Trek Discovery. Andrew, Tushna and Ti gather in the shed and we also hear from ESA's Exobiologist Dr Nicol Caplin about her work and the Chang'e 4 seeds on the moon. If you'd like to stay ahead of the game, and watch the films we're going to be discussing next, you might like to check out Spider-man into the Spider-verse and The Meg. You should definitely watch one of those anyway and the other has big sharks in it. Marina Sirtis (Deanna Troi in Star Trek TNG) joins us for our first episode of 2019. Marina has been cast in the brand new play Dark Sublime coming to London's West End this summer and joins us to talk all things Star Trek, Gene Roddenberry, Donald Trump and, of course, Dark Sublime. Dark Sublime is a play about an ageing science fiction actress and her relationship with a fan. 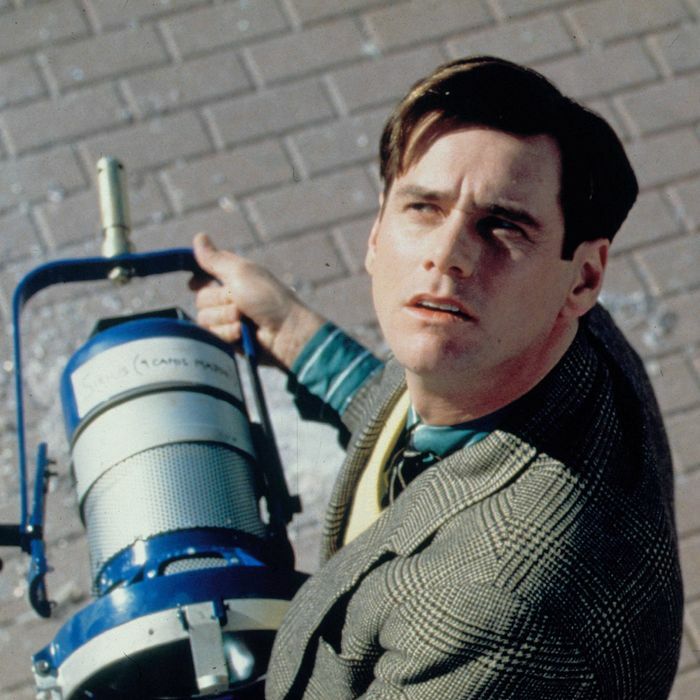 It's a comedy about space...and time. 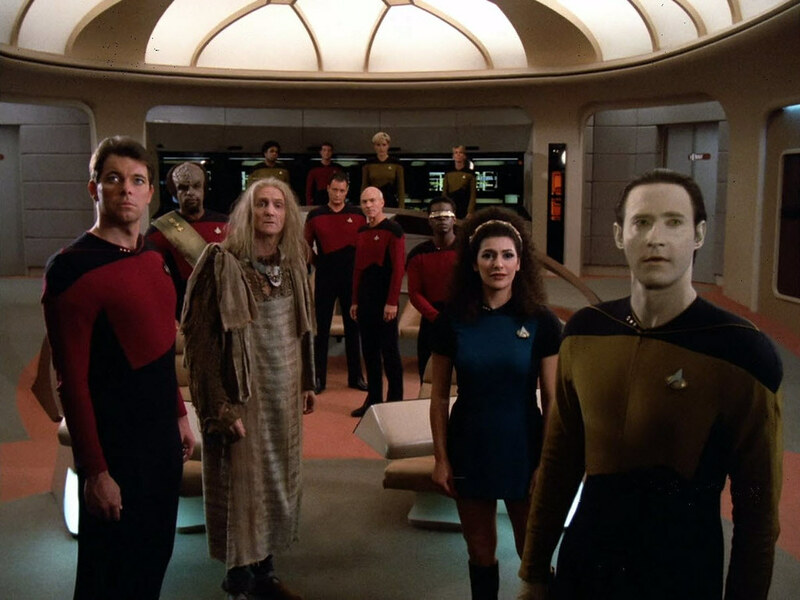 Star Trek TNG is available on Netflix and, hopefully, your own DVD/BluRay collection. All of us in the shed have got our tickets for Dark Sublime. You can get yours here. Marina was talking to Andrew and Ti. Marina Sirtis is a Tottenham Hotspur FC who are also known as Spurs. They were not playing themselves in the semi-final of the Carabao cup, no matter what Andrew says at the start of this podcast. Sorry about that. Professor Alice Roberts is currently delivering the Royal Institution Christmas Lectures so we thought we'd bring you a tiny bonus episode featuring Alice answering Lyra's question; "How do we grow?" It's time to open Door Number 24 of The Cosmic Shed Advent Calendar. This is the last one. We're not making one for Christmas Day. You know what to do. Open the door by pressing play on this page or by downloading the episode to your favourite podcast app or whichever podcast app you use. It doesn't have to be your favourite. 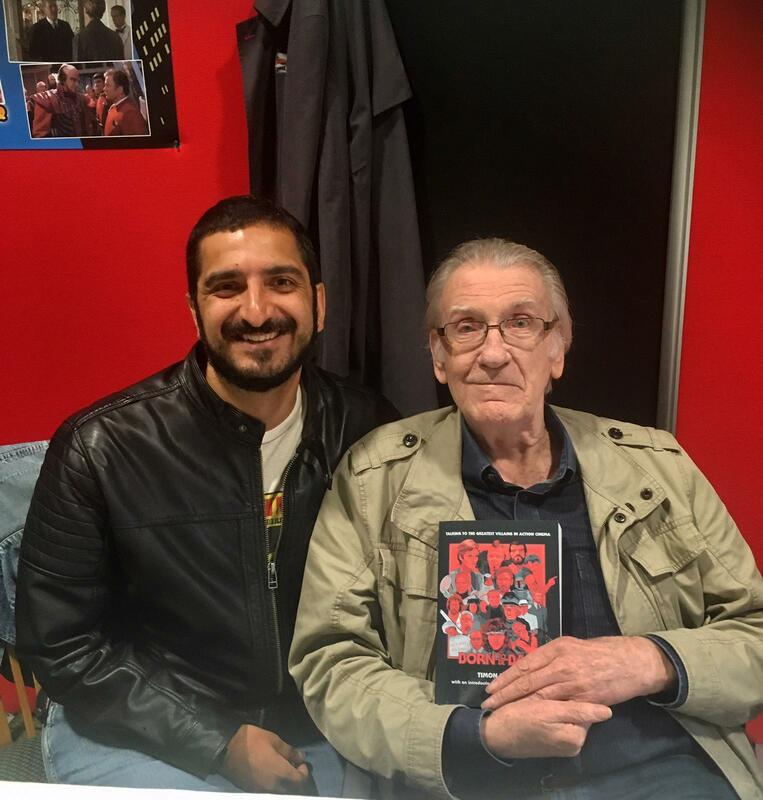 Those of you who have been with us over the years will need no introduction to one of today's guests and those of you who haven't aren't going to get one anyway. It's Ben. There's two guests on the podcast too whose identity will be revealed below. 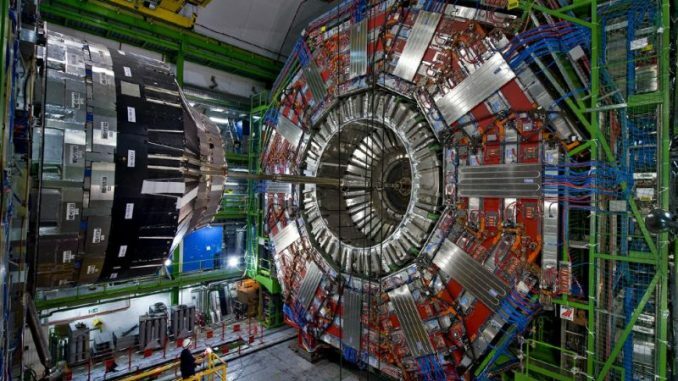 The LHC at CERN discovered the Higgs Boson but hasn't stopped there. Behind Door Number 24 of The Cosmic Shed Advent Calendar are Achintya Rao and André David, both of the CMS Experiment at CERN, home to The Large Hadron Collider. Achintya and Andre managed to find a quiet spot at a Christmas party to bring us a quick chat for this episode. Ben also pops in to deliver the poem that this advent calendar has been missing. We've never done an advent calendar for the podcast before but it wouldn't be right without one of Ben's poems. Ben's poem was inspired by Evelyn Berezin, designer of the first computer-driven word processor who also worked on computer-controlled systems for airline reservations and won many awards for her work. Evelyn passed on December 8th 2018, aged 93. 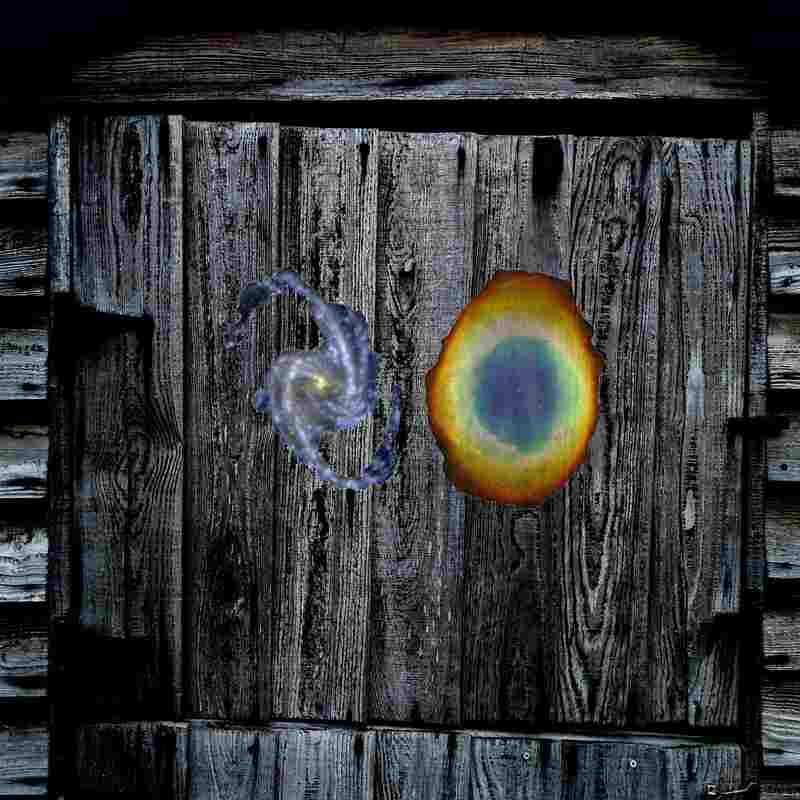 The Cosmic Shed is a podcast which explores the way science and storytelling collide, recorded in a crumbling garden shed somewhere in suburban Bristol. 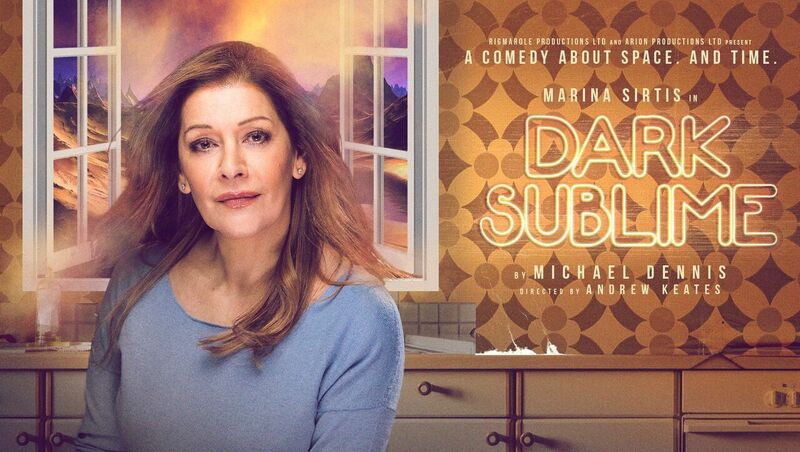 Andrew mentions The Dark Sublime, a new play featuring Marina Sirtis. Get your tickets here. It's time to open Door Number 23 of The Cosmic Shed Advent Calendar and you know what to do. Press play above or below (wherever your browser has popped the play button) and let the identity of today's guest be revealed. Alternatively, download the episode to your favourite podcast app and listen whenever you so desire. As you may have spotted, today is the promised treat for fans of Tron but don't worry, you don't have to even understand Tron to find this thoroughly enjoyable. 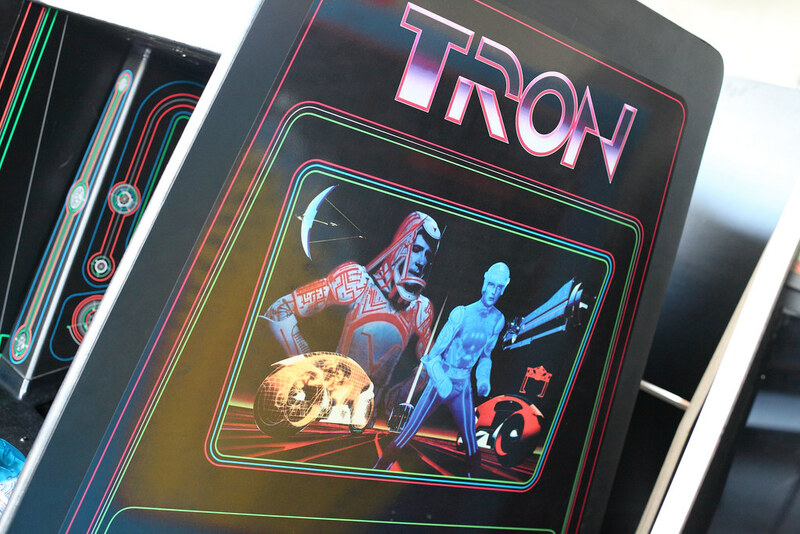 The side of the Tron Arcade Cabinet featured David Warner as SARK from the 1982 film. Behind Door Number 23 is David Warner. SARK from TRON. The (significant) butler in Titanic. Povell Wallander in Wallander. Chancellor Gorkon in Star Trek VI: The Undiscovered Country. Gul Madred in Star Trek TNG. Do you need to know more? That's OK, here's his IMDb. David is here talking to The Cosmic Shed's Ti about his career playing a variety of roles, although Ti is keen to talk to him about the villains he played. Listen in to see how that goes. Ti and David Warner later met up in person and here they are with Ti's book. Ti was talking to David and a whole host of other people as he was researching for his book Born to be Bad which you can buy here. One episode to go in our Advent Calendar and then we'll give your phone storage a breather until the new year. Thanks so much for sticking with us and for all your wonderful feedback. Thanks for reviewing us on various things like Stitcher and ITunes too. We do see that and really appreciate it. It's time to open Door number 21 of The Cosmic Shed Advent Calendar. Behind the door today are two award winning science authors discussing films, books and scientists and more in this, the twenty first episode of The Cosmic Shed Advent Calendar. You know what to do by now. Press play above or below (depending on how your browser has laid out this page) or download the episode to your favourite podcast app and play it there. We'll reveal the identities of today's guests lower down the page but will post this picture here to force them further down the page to avoid spoilers if you'd like to keep it a surprise until you open the door. Paul Dirac was born and lived about 100 yards from The Cosmic Shed. Behind Door Number 21 of The Cosmic Shed Advent Calendar are Amanda Gefter and Graham Farmelo. Amanda Gefter is a science writer specializing in fundamental physics and cosmology and author of Trespassing on Einstein's Lawn. Graham Farmelo is ascience writer and biographer, specializing in physics and physicists. He is the author of The Strangest Man and Churchill's Bomb. Way back in 2014, our second episode was about The Imitation Game with our special guest: Benedict Cumberbatch. Our very early episode with a considerably different line up of hosts features Benedict Cumberbatch talking to Andrew and can be found here and our episode on The Theory of Everything features Stephen Hawking himself and can be found here. Graham's biography of Paul Dirac is available here. Amanda's Trespassing on Einstein's Lawn is here. It's time to open Door Number 20 of The Cosmic Shed Advent Calendar and we've got two treats for you inside today. 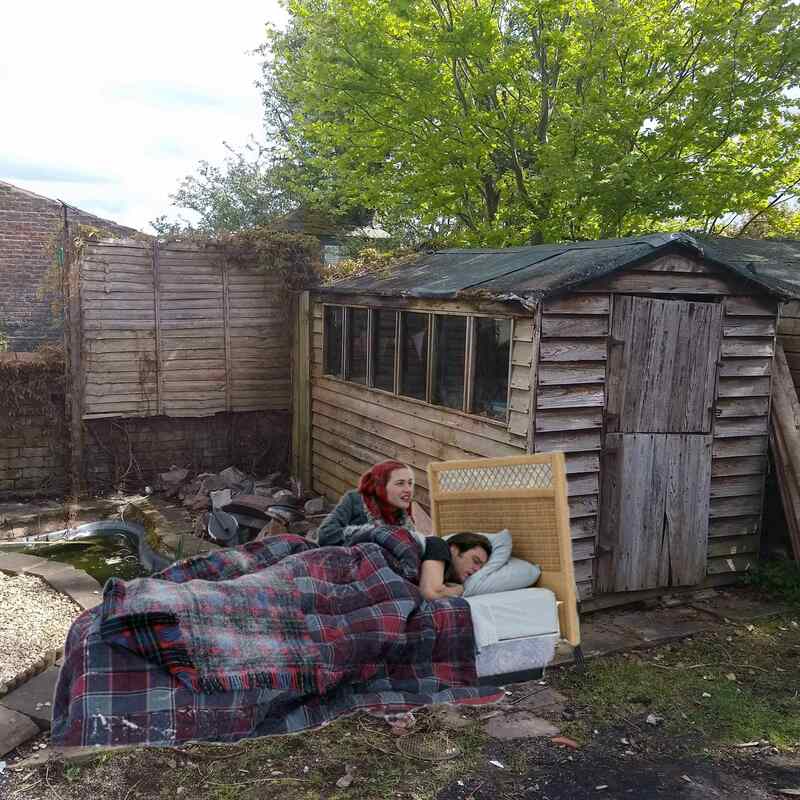 Not only do we have a rather stellar guest making a return to the shed but we have a guest presenter making her first ever appearance on The Cosmic Shed. We'll reveal their identities down the page but if you'd like the retain the surprise, don't scroll down, simply play the episode in your favourite podcast app or click play on this post. It's usually at the top but sometimes at the bottom. To push the identity of today's guests further down the page, here's a photograph of a Professor of Cosmology. 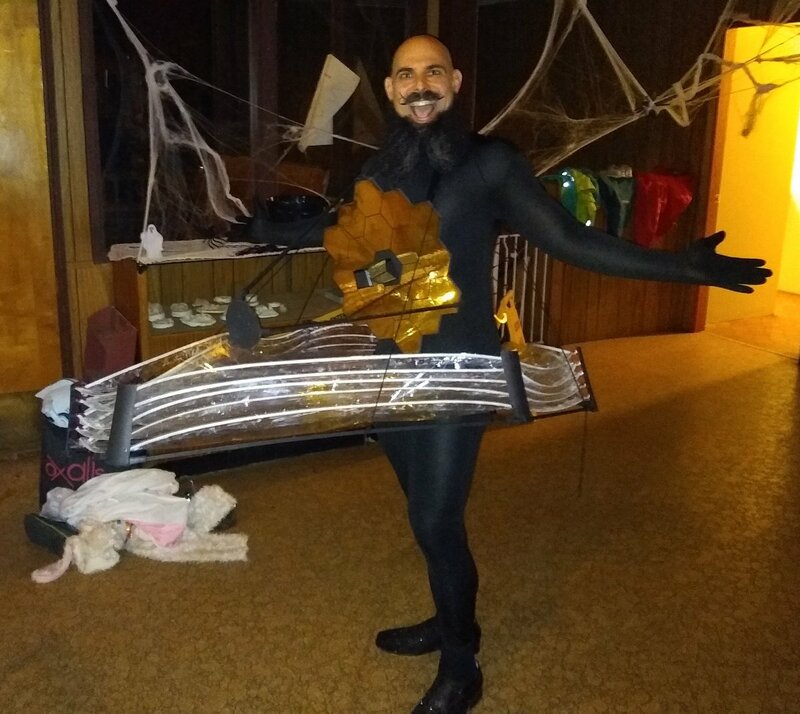 Not every day you see a Theoretical Astrophysicist dressed as The James Webb Space Telescope. Prof Ethan Siegel does not spend all his time studying the Big Bang. Behind Door Number 20 is Professor Ethan Siegel, friend of the shed and all round excellent Professor of Cosmology. Shed subscribers will remember Ethan from our episodes on Star Trek Discovery and Lost in Space. That 20 on the door is made up of two deep space objects. One is NGC 1365, The Great Barred Spiral Galaxy 56 million light years away from Earth. The other is the Ring Nebula, in the constellation Lyra. What you're seeing is the shell of ionized gas which has been expelled by a red giant star, which was evolving into a white dwarf. We promised you two treats though and the host of today's Cosmic Shed Advent Calendar is Lyra. Lyra (7) is Andrew's daughter and she woke up one day and said, "Daddy, can I be on The Cosmic Shed one day. I have two questions which I would like to know the answers to." Listen in to find out what those questions were and why Prof Ethan Siegel is the perfect guest to answer them. Treknology was on the shortlist for The Physics World Book of the Year. The Cosmic Shed was also the home to The Physics World Stories podcast this month. You can listen in here and find out who won The Physics World Book of the Year. It is hosted by our Andrew. It's time to open Door Number 19 of The Cosmic Shed Advent Calendar. To find out the identity of today's guests, simply click play above or below here (wherever your browser has put the play button). Alternatively, download all the episodes of The Cosmic Shed going back to 2014 and eventually get to this one. Alternatively, download them all and listen at your leisure in no particular order. As always, we're mainly typing words here to push the identity of today's guests further down the page so you don't accidentally find out who they are before listening to the podcast. That would spoil the surprise. Here's a photograph of the man who controls R2D2 in all the Star Wars films since The Force Awakens. Lee Towersey is the droid building fan who got hired to actually control R2D2 for real. Behind Door Number 19 of The Cosmic Shed Advent Calendar is Alfie Wearn. Alfie is conducting a trial to try and find a way to detect Dementia early but it turns out that he does a half decent impression of C3PO which turned out to be rather useful for this episode. 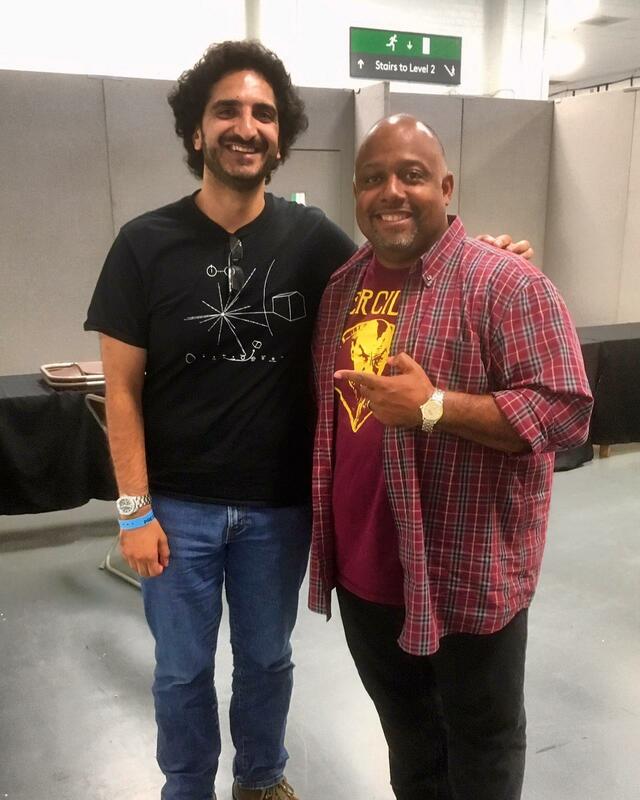 Alfie joined Andrew to talk about his work, Doctor Who, Star Wars, Inception, Eternal Sunshine of a Spotless Mind, Still Alice, Inside Out and Elf. Alfie Wearn and R2D2. Spot the TARDIS on the Christmas Tree. 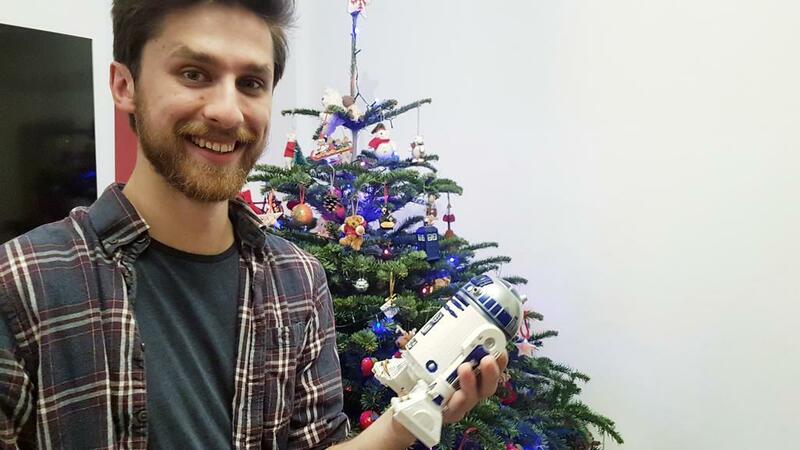 Oh and there's that C3PO impression which comes in handy because also behind Door Number 18 of The Cosmic Shed Advent Calendar is Lee Towersey, the man behind R2D2 in the recent Star Wars films. You can listen to the podcast to get the full experience but here is a transcript of the interview Andrew did with Lee. I am a member of the Creature Effects Department based at Pinewood Studios. We have a number of departments within CFX, my department being Model Making. We are sometimes referred to as the Droid Department as that is mainly what we make. I started by building droids for The Force Awakens, my main build being the four R2D2s Oliver & I built. I also built the Mouse Droids, Toolbox Droids and dressing various droids including the Gonks. I’m also fortunate enough to be on set operating the droids I’ve built. How did it feel when they said "ok, you're R2D2"? Oliver Steeples was attending Celebration in Essen with a number of R2 Builders. A few of the guys asked Kathleen Kennedy if they wanted Astromechs building for the new Star Wars films. Amazingly a few months later Oliver received a phone call from the Production Team who went round his house to inspect his work. Next thing I know, Oliver called me to ask if I could join him for a trip to Pinewood to explain how we built out Astromechs along with talking about the work we have done together. We had done a lot of Lucasfilm promotional work and a TV advert together so I guess we were already on the Lucasfilm ‘radar’. After a few weeks we went back to Pinewood Studios for yet another meeting which turned out to be a job interview and we both left the meeting having been offered jobs with Neal Scanlan’s CFX team. Any stories from filming you can share with us? I do have some great stories but due to NDA I am not able to share I’m afraid! What else can we see your work in? Apart from the occasional Month or so off between films I have been working in the CFX Department on Star Wars since The Force Awakens. Oliver left after TFA but I have continued to look after R2D2 and operating him on every film since. I have built other droids including the A-LT track droid seen very briefly in Rogue One and seen a little more in Solo. I have been part of a team assisting with many other builds along with running regular maintenance on the droids to keep them as reliable as possible when on set. Do you have a favourite R2 moment from the films? One of my favourite moments was operating R2 on the Falcon during The Last Jedi. When we shot the scene where R2 wakes up and drives over to Luke to talk to him it felt like a special scene at the time and I feel turned out to be pretty good in the film. When we reached Luke we switched out the 3 legged remote control R2 for the two legged version. Jimmy Vee was inside the two legged R2 at the time with me performing the head movement via remote control. People have asked me if the Leia projection was shot after Carrie Fishers passing. It wasn’t, we shot that before her death and it was always meant to be in that scene, it turns out it was a nice nod to Carrie Fisher in her memory. 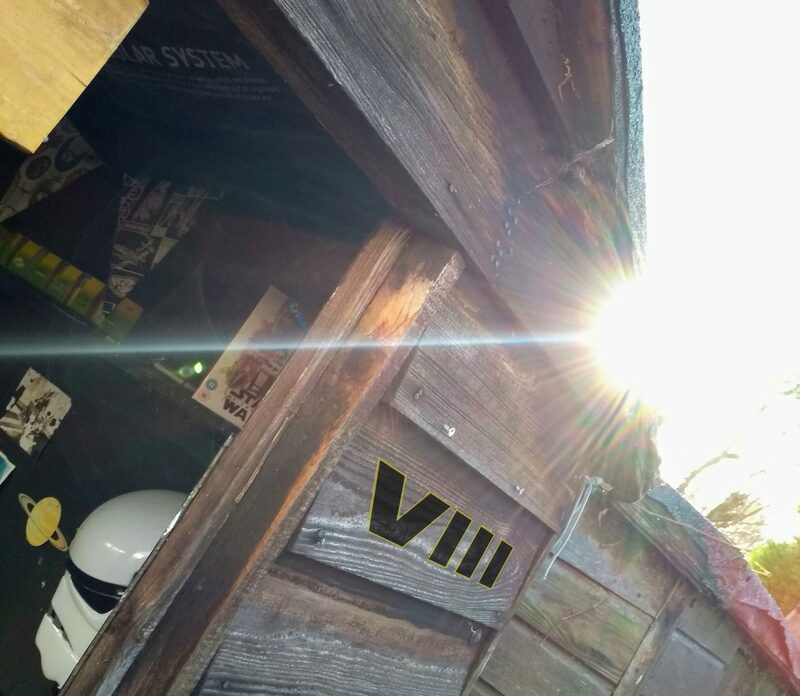 Door 8 of The Cosmic Shed Advent Calendar came with free lens flare. Alfie mentions the Jennifer Aniston neuron. You can read about that here. Andrew mentions riding a Kelpie. That looks like this.